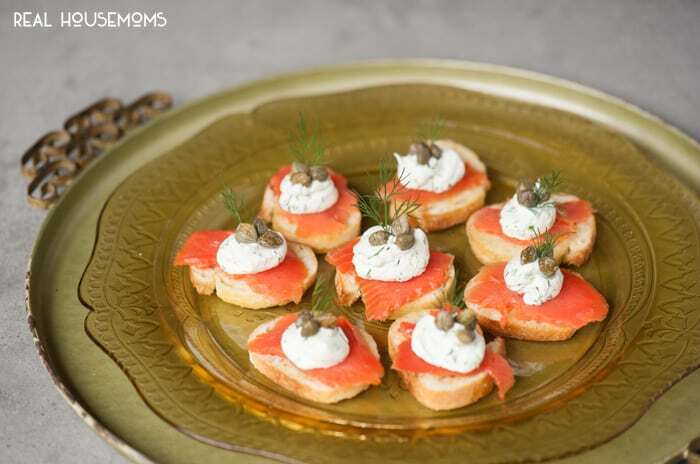 If you’re looking for an elegant and tasty yet easy to make appetizer for your next dinner or holiday party, Smoked Salmon Crostini is always a favorite! I adore salmon. 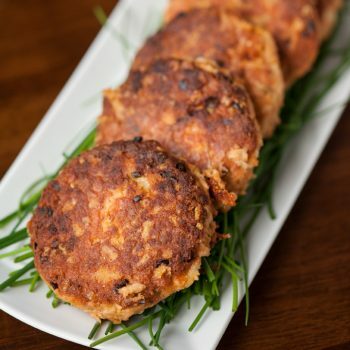 In fact, I hadn’t realized how many salmon recipes I actually had on my own blog until I did a quick search. I suppose living in Portland, Oregon, has spoiled me. I also love little appetizers that can be enjoyed in two attractive bites or shoved entirely in my mouth when no one is looking. 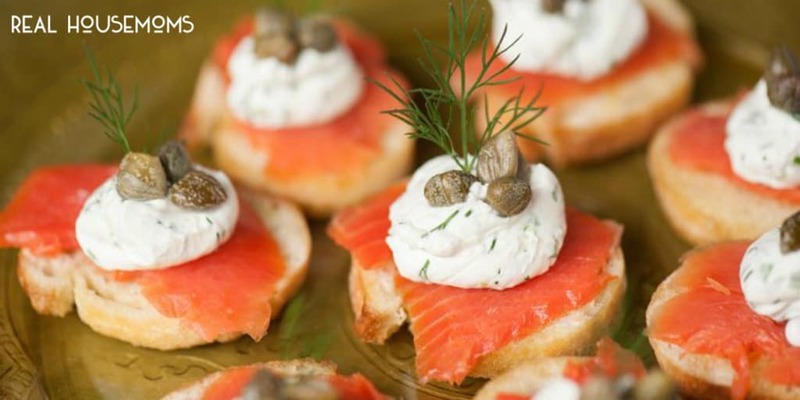 I love these little crostinis because they really couldn’t be easier to make, but they’re just so darn pretty! Doesn’t garnish make everything better? 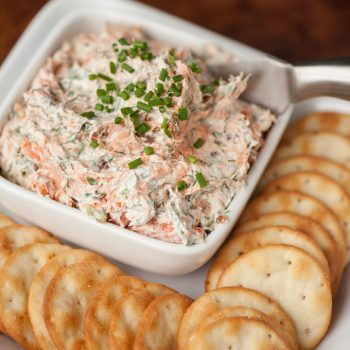 I modeled this recipe after my smoked salmon dip which is the food equivalent to crack, in my opinion. Seriously, don’t put that stuff in front of me because I will shock and awe everyone around me when they see how much salmon dip I can consume. Similar to my dip, this recipe has cream cheese, fresh dill, a little kick from fresh jalapeno, and lemon juice. 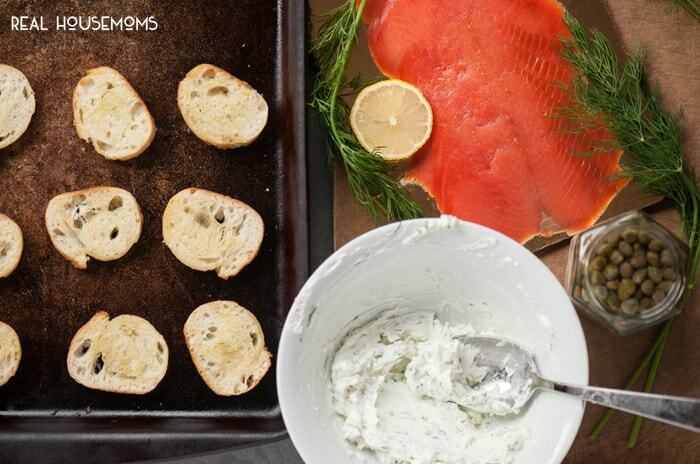 If you’re eating salmon, you must have lemon and dill. That’s just a fact. Don’t even try arguing with me. I also do love me some capers with fish. All the flavors blend together oh-so-perfectly. Aren’t they pretty? Now imagine yourself walking around your holiday party passing these out. I guarantee your guests will be fighting over them. Wanna know a secret? As soon as I finished photographing these, I ate every single last one of them. Not ashamed. Not one bit. In fact, its been a few hours since I devoured them and I’m starting to crave more. That’s how wonderful they are. Preheat oven to 350 degrees F. Coat both sides of bread slices with olive oil. Arrange in single layer on baking sheet and bake in preheated oven for 15 minutes, turning after about 10 minutes. Allow to cool. 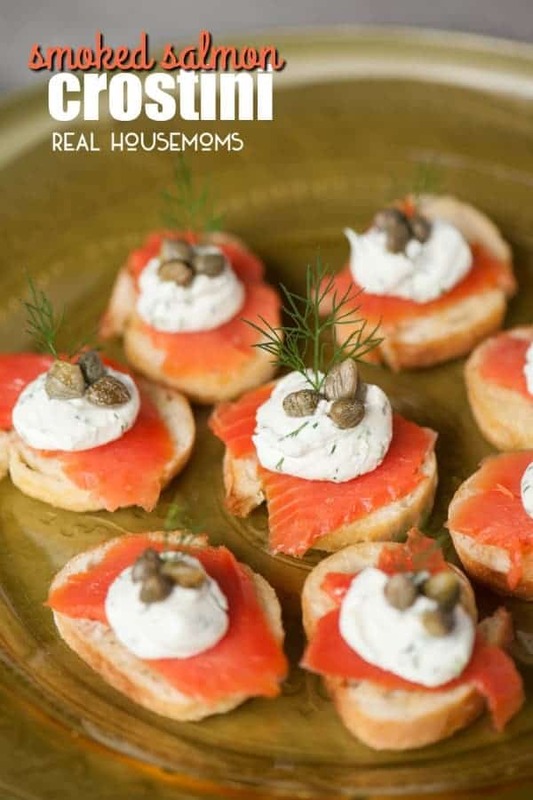 Arrange toasts on a platter with a piece of salmon on top of each one. 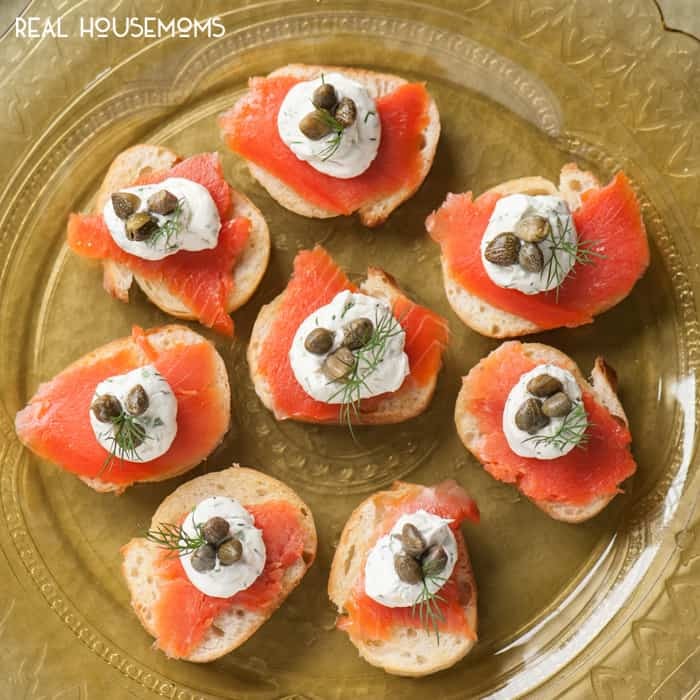 In a small bowl, mix together cream cheese, jalapeno, dill, lemon juice, garlic, and salt. Either spoon a small amount on top of each crostini or squeeze out of a plastic bag with the corner snipped off. Top with capers and additional dill. For the Smoked Salmon Crosstini, can I assume that the salmon is cooked? and not raw? It looks so pink, hard to tell. 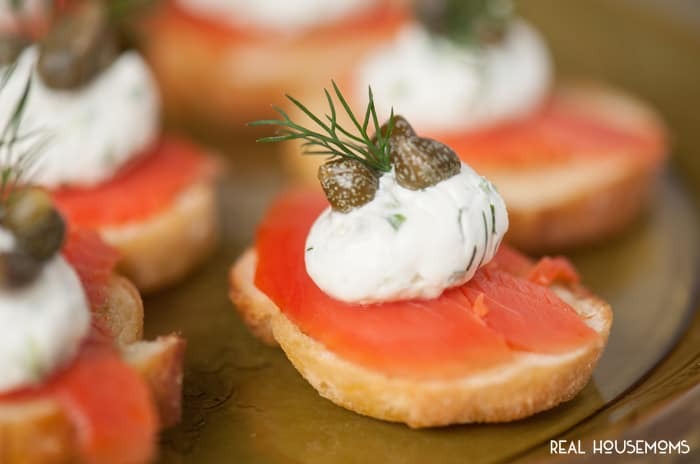 Smoked salmon is mostly commonly dry cured and smoked, because there’s no true “cooking process” it is left with an almost raw like color and texture. Store bought is ready to eat from the package but if you choose to do the process at home you will want to research that process. Hi Allana, honestly you probably won’t find a huge difference in flavor. Wild caught salmon tends to be less fatty but farmed salmon is higher in omega 3 fatty acids so the trade of isn’t a bad one. What you find in your local grocery store will still taste just as great. I am wondering about the nutrition facts. Is the 79 calories for one piece? Thank you! The nutrition facts are per prepared crostini.